With the emergence of nutritional approaches such as the ketogenic and paleo plans (both high in proteins and fats, and lower in carbs), carbohydrates; macromolecules often beneficial for good health and performance and at one time an integral part of any good bodybuilder’s eating plan, are not as readily consumed as they once were. With much confusion concerning the role carbohydrates play in producing energy and keeping us supplied with a full complement of valuable vitamins, minerals and fiber, many are uncertain as to how and when to include carbs in a diet conducive to sustaining health and wellbeing and building muscle mass. Increasingly maligned and neglected, carbohydrates are being used more strategically than ever: fearing they will lead to unwanted weight gain, many lifters are replacing a percentage of their carbs with additional proteins and fats, only eating them at certain times, and often dropping them completely. Over-consuming certain carbs at the wrong times can result in more adipose than additional muscle weight, but this problem can be rectified by knowing which carbs do what and when they may be eaten for maximum results. But we must first try to determine how many carbohydrate grams are needed per day to produce more beef than a Texas cattle ranch. Though not essential for survival, as the body may draw from both proteins and fats for energy purposes, carbs do provide the most efficient energy source for hard training athletes and, importantly for bodybuilders, may ensure that protein is spared (low carb diets can (not necessarily will) cause the body to leach protein from muscle to produce energy via gluconeogenesis). However, achieving the correct carb consumption is complicated. 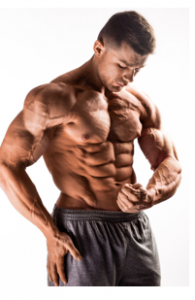 When eating for performance and lean muscle gains, our activity level, the types of carbs we eat, our hydration status (it is crucial to be well hydrated when consuming a high carb diet), and many other mediating factors including rest, recovery, fat and protein consumption and our genetic makeup will affect how we respond to the carbs we consume. So closely monitor how your body adjusts to a particular carb regime and scale their intake up or down accordingly. Furthermore, even the best of carb ratios may result in poorly balanced blood sugar levels if not properly balanced with an adequate complement of protein and fat (see the previous articles on protein part 1 & 2 and fat part 1 & 2 in take in the series for recommendations on those). 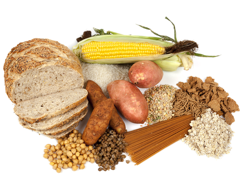 So which carbs are best, how they might these affect performance and body composition? While all carbohydrates are classed as sugars and are ultimately converted into glucose before immediately being utilized for fuel or stored, primarily in the muscles or the liver, as glycogen, different carb sources, though possessing the same caloric composition per gram, can have vastly different effects. The two main types of carbohydrate are starches (polysaccharides, or complex carbs, which also include fibrous carbs such as leafy green vegetables) and sugars (monosaccharides and disaccharides). 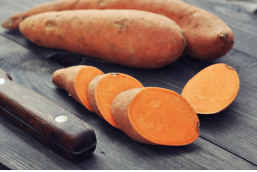 For athletic performance and general health and wellbeing (which is fundamental to ensuring optimal athletic performance), both carbohydrates types have their place, but it is the complex, starchy carbs that are most desirable. Some vegetables, grains, certain breads and pasta can be classified as starchy carbs, while sweets, cake, soda and many convenience snack foods comprise the sugars (there are also sugars – lactose and fructose respectively – in dairy products such as milk and, though often considered a healthy food option, fruits, and especially fruit juices). The aim for health conscious people, including bodybuilders, is to select only those carb sources that will provide the highest spectrum of nutrients and to avoid those ‘empty’, concentrated carbohydrates which include table sugar, soda and other nutritionally deleterious fare. Not all carbs are created equal. Complex carbs release energy slowly and are more sustaining, whereas simple sugars are rapidly assimilated, which may cause an overabundance of insulin to be released which in turn may result in fat storage and hypoglycemia (low energy due to diminished blood glucose resulting from excessive insulin release). Aside from selecting carbs based on the rate at which they are processed as energy (which can be determined in part via the glycemic food index – see below), we must also choose them for their nutritional benefits and fiber composition. 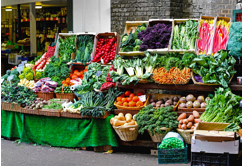 For the most part, vegetables (all varieties, in particular fibrous types such as broccoli, spinach, and Brussels sprouts), whole grains, and certain fruits (for example, bananas, apples and blueberries) are superior, micronutrient dense carb choices which also contain phytochemicals (naturally occurring chemical compound which have specific health-boosting nutritional properties) and fiber (the indigestible part of plant foods which boosts digestive health, can offset diseases such as cancer and diabetes, lower cholesterol levels, and produce feelings of satiety). (Note from Ben: I would personally recommend you consume the majority of your carbohydrates during your workout, immediately post, and in the hours following, when attempting to maximize body composition). Simple sugars are not inherently evil from a nutritional perspective. Though nutritionally inert (relatively speaking) junk foods should be avoided, high sugar fruits and some high grade simple sugar based supplements such as Vitargo can be consumed directly after intensive weight training sessions to promote faster recovery and to rapidly top up our depleted energy reserves. Finally, a good rule of thumb when choosing quality carb sources is to opt for brown: rice, potatoes with skins intact and so on; excellent energy-sustaining carb options, which also provide a generous serving of fiber. Refined carbs, which are heavily processed and stripped of their beneficial fiber like white bread, are largely to be avoided. 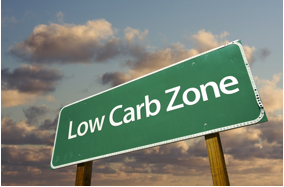 How glycemic are your carbs? The glycemic index (GI) numbers food items according to how fast blood sugar levels rise after consumption. Ranging from 50 (indicating a marginal effect on blood sugar levels) to 100 (indicative of a rapid rise in blood sugar, as would occur when ingesting pure glucose), the glycemic index ranks a wide range of foods but does not take into consideration additional factors which may influence how fast blood sugar may rise after carb consumption (such as any dietary fat consumed with this carb source, which may help to stabilize blood sugar levels). Low GI foods include: most sweet fruits, vegetables, beans and small seeds. High GI foods include: white bread and rice, potatoes, pretzels, bagels, and glucose. Don’t ditch the carbs completely; just try to ensure they are comprised of low glycemic, healthful items, and that we supply our muscles with sufficient glycogen with which to power through the toughest workouts (note from Ben: this doesn’t specifically mean that you need to eat them pre-workout, I’ve discussed this before in other articles). We also ensure that enough health-giving nutrients, including fiber (of which most adults get nowhere near enough), are available to support the building of stronger and larger muscles. Forgo the extreme low / non-carb diets in most cases, unless specifically carb cycling (another article) pre-contest or otherwise.